Learn easy embroidery stitches sewing inspiring messages! Get to know your neighbors and get creative in a safe space where all are welcome! All materials are provided in a fun, friendly and relaxed environment for all ages. Safety needles for children or new-to-sewing available. 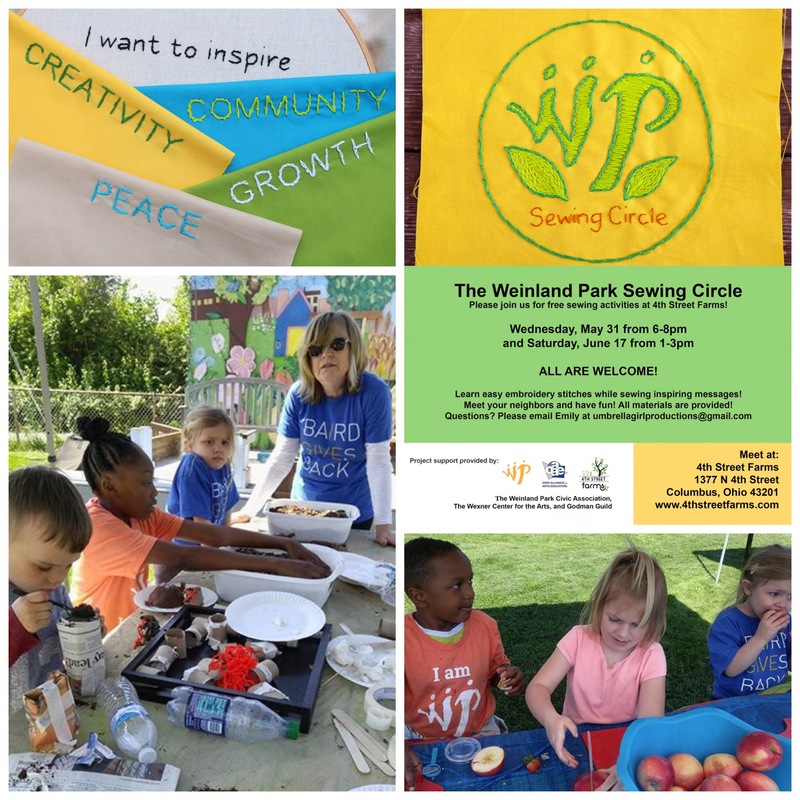 Project support provided by: 4th Street Farms, Ohio Alliance for Arts Education, Weinland Park Community Civic Association, the Wexner Center for the Arts, and Godman Guild Association.